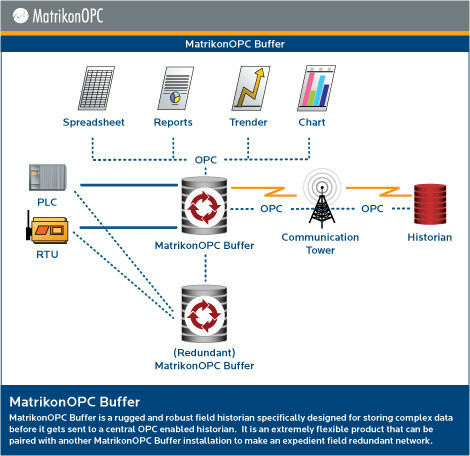 The Buffer by MatrikonOPC is an OPC data storage and transfer software designed for efficient and reliable data delivery. The MatrikonOPC guarantees its software full function in transferring data effectively. It comes with an easy solution that moves data coming from OPC enabled system to any historian.